How Much Does it Cost to File for Bankruptcy Protection? Approximately 1.2 million Americans filed for bankruptcy in 2012 and more than 1 million more individuals are expected to go bankrupt in 2013. Continued layoffs, foreclosures, rising healthcare costs and mounting credit-card debts are all still taking a toll on many people. If you’ve thought about filing for Chapter 7 or Chapter 13 bankruptcy as a last resort for managing your financial problems, make sure you’re aware of all the costs of going through personal bankruptcy. Court costs and attorney fees can add up, and you’ll need to be financially prepared to manage these costs within a reasonable time after the filing process is complete. 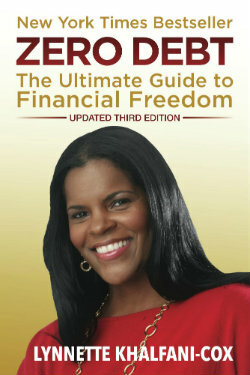 Many people don’t realize what the total costs of filing for bankruptcy will be when they decide to declare bankruptcy. 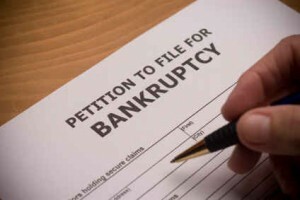 But filing for bankruptcy is never free – even if you handle the filing yourself — and going through Chapter 7 or Chapter 13 may involve a significant investment of time and money. You’ll also need to spend a good amount of time gathering paperwork, finding a reputable attorney, and going through mandatory credit counseling. Credit report orders – if you’ve already obtained your free credit report for the year but need a more updated version to check after your filing, you’ll have to pay for additional copies. This is a small, but extra expense that many people forget about when they decide to file for bankruptcy. Total Cost: $10 to $20. Credit counseling fees – you will need to undergo credit counseling and provide proof of completing the credit-counseling program before you can file for bankruptcy. Completing the program typically takes 60 to 90 minutes and may require taking some time off work or out of your busy schedule, and you will be responsible for paying all fees associated with the service. The good news is that you can do credit counseling online, over the phone or in person, so you have some flexibility in arranging this requirement. Also, you may be able to ask for a waiver of the credit-counseling fee if you simply can’t afford it. Bankruptcy attorney fees – attorney fees will vary based on numerous factors, including the type of bankruptcy you choose (chapter 7 or 13), the complexity of your case, the attorney or law firm you work with, and what part of the country you live in and file for bankruptcy. Legal fees for Chapter 13 cases are often higher than those for Chapter 7 cases. That’s because a Chapter 13 is a reorganization plan that lasts for 3 to 5 years, so presumably these require more work from an attorney. Fortunately, with Chapter 13 filings, a lawyer’s fees can be wrapped into the cost of your overall bankruptcy repayment plan, so you may not have to come up with all the money at once to pay a lawyer. Another important point: Lawyers in the Midwest and South, for example, are typically cheaper than attorneys in on East and West coasts. Still, when you’re broke and going through bankruptcy, it might feel like any legal feels are costly. But it’s worth it to get professional help. Total Cost: Anywhere from $750 to $4,000. Filing fees – when your case is prepared for a bankruptcy court review, you’ll need to pay filing fees that are determined by your local court. This filing fee varies from state to state. Total Cost: Typically about $200 to $400. Miscellaneous costs – some other costs that are easy to overlook throughout the bankruptcy filing process include printing, mailing and photocopying of all paperwork needed for your case. Your attorney can do some of this, and include it in their fee, or you can handle it. You would also need to factor in travel time, time off work and any extra fees involved with requesting an extension or when you need to file other documents. Filing for bankruptcy can take its toll on your finances, and on your well-being. For many people, going through bankruptcy is a stressful process and does involve a lot of emotional and personal time as an investment too. Make sure you’re aware of the total costs of filing for bankruptcy before you seek out an attorney and begin the filing process.